We already have a Brio Sleep in Alec’s room and it is a good crib. 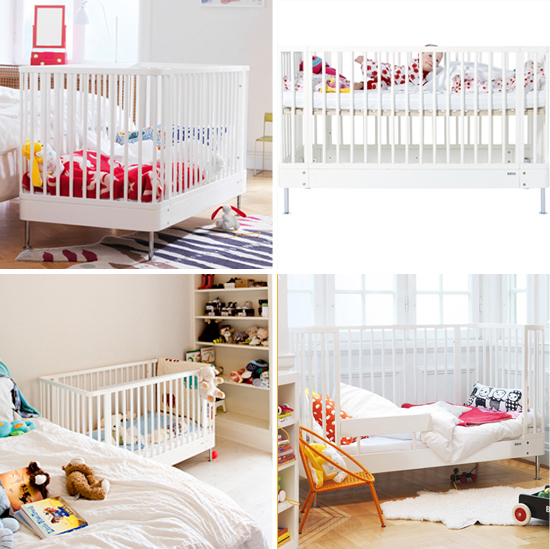 It’s big but it converts really well into a full junior bed with all the sides removed, and has good toddler bed conversion steps along the way… It’s light and airy with a slightly rounded silhouette so it fits nicely into any type of decor. 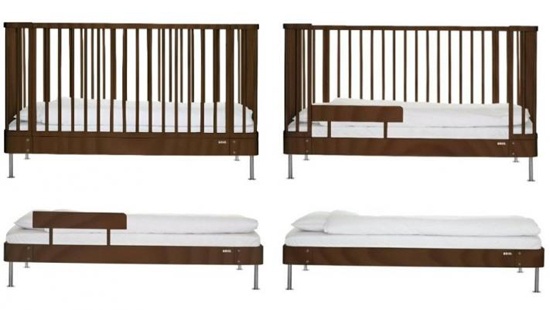 And this crib comes at a pretty affordable price (ca SEK 4500 / USD 650 with mattress). We are really happy with this crib for Alec and considering that our children might at some point share a room, it might be a good idea for them to have matching beds from the beginning. I so wish we had the full Brio line in the US.